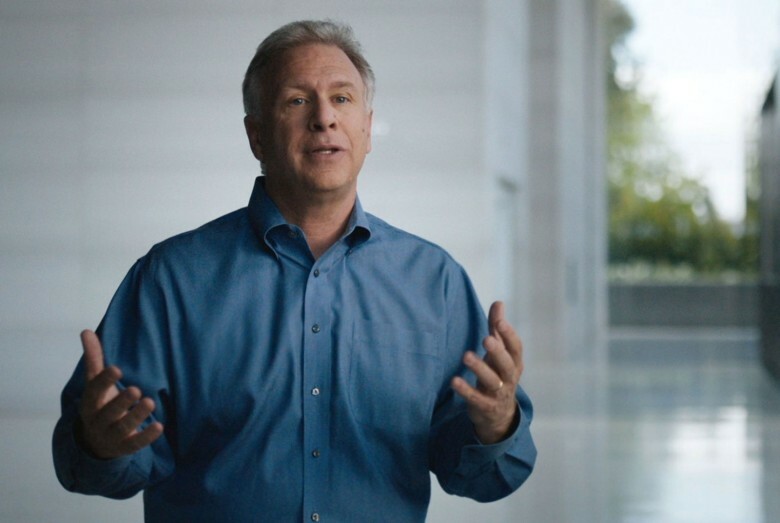 Phil Schiller says iPhone X will dictate the direction of smartphones for the next decade. Apple marketing guru Phil Schiller has heard the haters saying the iPhone X wasn’t the first smartphone to get facial recognition. But according to Schiller, that doesn’t matter at all. “They all stink,” says Schiller in a new interview discussing Apple’s new facial recognition feature. The wide-ranging interview touches on everything from AirPods to virtual reality, but what sets Face ID apart is what got Schiller the most excited. While other smartphone makers have tried to implement facial scanning features with little success, Schiller told Dutch website Bright that Face ID is much more than just a security feature. Because it’s a new security feature, some users have been leery about whether third-parties can tap into the facial recognition data. Schiller downplayed those worries, saying developers don’t gain access to all of Face ID’s data. When it comes to virtual reality and augmented reality, Schiller says Apple isn’t betting on one technology over the other. The company has spent a lot of time looking at both and how they will impact users’ lives. For now, Apple is focusing on making the Mac a great place to create and consume VR content. Schiller is much more excited about the future of AR, though. Schiller also talked about the delay of the HomePod, saying the company feels bad it wasn’t able to deliver it in time for the holidays. Apple’s smart speaker should land early next year.